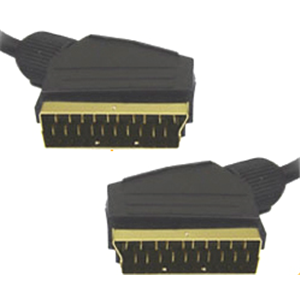 Exclusively for our European customers our top end, SCART to SCART, triple shielded cable with Gold connectors. Made of pure Oxygen Free Copper (OFC) conductor, it has the characteristics of high conductivity, low signal loss and degradation, low electric resistance and good signal transmission. Triple shielded construction will reduce EM and RF interference to a minimum, while gold connectors will keep a perfectly tight connection. Whether you are running HD (High Definition) signal or SD (Standard Definition) signal, this cable is perfectly compatible to either one. It would transfer Video + Audio on either type of the signal. 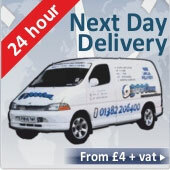 Ideal for connecting DVD players, VHS players, satellite and cable boxes, LCD's, projectors, Plasma displays, HDTV's and much more.